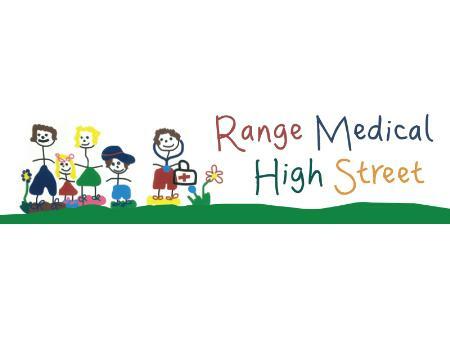 The Range Medical Centre was established in February 1998, by Dr Robert Greenhill a well respected local General Practitioner. Marcella Timmins was employed as the Practice Receptionist, with the growth and development within the practice, her position changed to Practice Manager. The original surgery was a small surgery situated in the Mall of the shopping centre. In January, 1999 we moved to a new centre, on the top outside corner of The Range Shopping Centre. The centre was designed by architects experienced in the needs of a modern medical practice. Dr Len Knott joined our practice in January 2000. On the 26th September 2012 we moved to our new premises in High Street Shopping Centre. The medical centre was designed by architects with input from the principal doctors and practice manager who are experienced in the needs of a modern medical centre. Our practice now accommodates eight General Practitioners. We have four individual procedure rooms, one of which is setup for isolation needs. We have wheel chair and ambulance access. Other facilities at our medical centre include a children’s play area, baby change area and disabled toilet facilities. Our practice is fully computerised and is accredited. The shopping centre has disabled car parking and disabled toilet facilities. We provide a comprehensive family medical service in a friendly, relaxed atmosphere. Services include: home visits, check-ups, family planning, pap smears, pregnancy tests, ECG: heart check, counselling, vaccination (children and travel) minor surgery, stitching cuts, removal of moles and sunspots, liquid nitrogen freezing therapy for sunspots and warts, nutritional advice, industrial medical advice and consultation, sports medicine, skin checks, recall system and acupuncture.